This guest post is from Rebecca Langston-George, published author and Assistant Regional Advisor to the California Central Coast Region’s Society of Children’s Book Writers and Illustrators (SCBWI). Rebecca uses her expertise in teaching and writing to help new writers get their start. Here’s what she has to say about how new writers can use work-for-hire writing to break into traditional publishing. Let’s face it, the quest to get your work published can be discouraging. It can take the better part of a year to hear back on a submission, and the answer is often an impersonal form rejection. Even worse, many publishers have stopped replying at all. One option is to consider work-for-hire. What’s work for hire, you may ask? It’s when a publisher hires out a pre-developed book idea to a writer. The writer then takes the publisher-created book guideline, develops an outline, writes the book and revises, all under the guidance of an editor. Some publishers work with authors directly while others use editorial services or book packagers as middlemen. Whether you’re looking to write fiction or non-fiction, adult, young adult, middle grade, or picture books there’s a work-for-hire market for your services. Are you really a writer? Find out for sure with the Charles Bukowski method. Finding work-for-hire writing deals requires some research. Market guides, online writing boards and internet searches can point you in the right direction. I write for the children’s market and have found the SCBWI discussion boards to be very helpful. They have a board dedicated to children’s work-for-hire writing deals. Evelyn Christensen has compiled a helpful list of children’s publishers and work-for-hire companies on her blog as well. I highly recommend it. To apply for writing work you’ll want to read and follow the company’s application or submission policy carefully. Since work-for-hire companies develop their own book projects in house they are NOT looking for you to pitch your own manuscript. They are interested in you as a potential writer to develop their ideas (not your ideas). Most work-for-hire companies want you to send in a resume and writing samples. Tailor your writing samples to the type of items the company publishes. It’s tempting to just pull a few samples from manuscripts you’ve already written, but you’ll get better results if you study some of the company’s books and write new samples accordingly. Don’t despair if your resume doesn’t show much writing experience. Your day job or hobby might tip the scales in your favor, especially if you want to write non-fiction. My interest in beading and creating crafts helped me get my first book, and my job as a language arts teacher helped me land two non-fiction books on writing. Work-for-hire can be a great way to break into the writing market, but it does present its own unique challenges. Work-for-hire assignments require you to put aside your own projects and tackle new concepts. Organization, the ability to meet deadlines, and the flexibility to fulfill the company’s vision for the project are key components to successful work-for-hire writing. Weigh the pros and cons and ask yourself if it’s the right type of work for you. Before signing a work-for-hire contract, be sure to read it carefully and ask questions. Make sure you understand the deadlines, payment schedule, and assignment of rights. Writing work-for-hire books for the school library market has been a great experience for me. I’ve found encouragement in seeing my name in print and gained valuable knowledge and insights about writing. I typically have three to four weeks to create an outline and a month to write the book, but the challenging deadlines force me to write consistently and provide me with a lot of experience in a short amount of time. 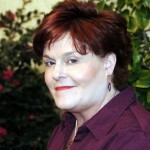 Rebecca Langston-George authored five books with Capstone Press through work-for-hire assignment. When she’s not teaching or writing work-for-hire, she’s working on her novel. Click through to learn more about her and her work. Good to see you here on Mandy’s blog. Wishing you luck! Great article! Thanks for so generously sharing this information. Nice to see you here. Thanks! I saw the list of publishers on that blog, but no work for hire companies. Are they on a separate page? Ev’s site has quite a few work-for-hire publishers or packagers listed. They aren’t separated out. A Pass, Abdo, Capstone and Red Line Editorial are among those listed on her site. You can click on the links she provides to go to the individual websites and from there usually you can find submission info if they are accepting. I hope that helps. Good to know there’s another option for writers! I’ve heard of other writer friends getting hired for such assignments and some of them have a great time doing research and writing them. It’s a great way to get a book on your resume. Makes the query easier when you write something of your own, if that’s the goal. Nice way to get insights into the industry too since you’ll be working closely with them. Thanks for the awesome tips! I’d really like to Do some work-for-hire writing but still having trouble getting started. I checked out the Scbwi message boards and I don’t see any section on work-for-hire. Can you explain how to find it? Thanks! Work for hire sounds like a great way to break in to publishing children’s books. Having deadlines would help me be consisent. Would love to learn more about it. Thank you! Need to be writing WFH/Science. Capstone?? Others?? Read the article. Thanks. Perhaps I need a bit more direction, a push. Do you still recommend the same channels in the changing publishing landscape? Particularly with the rise in popularity of self publishing etc. This is a very informative article, I wonder if you have any additional insights since writing it? Thanks for asking, Cat! This is a great question. Self-publishing was just as popular and viable an option the day this article was published. Work-for-hire writing is just another option for writers. And many would argue it’s easier to build a career from work-for-hire since the pay is guaranteed.